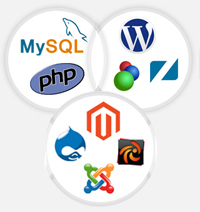 As a dynamic web development company, PcPatchers Technology specializes in PHP based web development. We utilize the industry’s best-practices and methodologies and deliver the most comprehensive PHP web applications and solutions for different industry verticals. We offer customized PHP websites solutions coupled with the most popular relational database MySql to meet you specific business objectives, organizational structure and workflow management. Based on the very latest industry standards and frameworks, our PHP based web solutions deliver cost benefits. You are looking for the experienced team of PHP web developer team and you just found it. 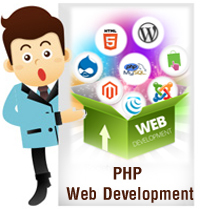 Awesome web development using PHP development without compromising the quality. Our quality assurance approach includes agility with the stability and reliability. The quality assurance procedure involves all members of the team and collaborates with the client at every step. We follow feedback driven PHP development process. Our team of experienced and skilled PHP programmers and developers always conform to the best coding practices so that the PHP application we develop for you are secure and fully functional. Affordable price and Quotes for Web development services.